Last week we introduced the Activities feature, so you have more options when setting the next action . Today we are excited to announce two VoIP integrations to noCRM.io. 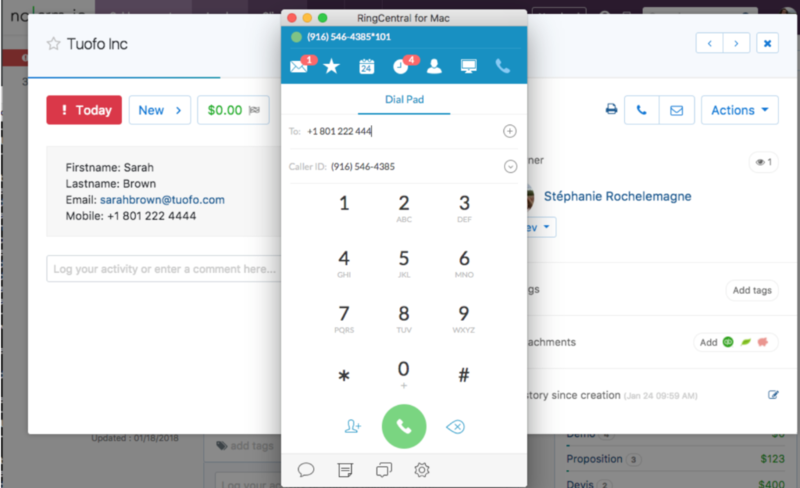 Aircall and RingCentral are the latest to join a long list of partners and will fill the VoIP integrations gap in our lead management software. Expert edition users now have access to cloud-based phone systems in the market to reach your leads. Making calls is an essential part of the sales process, and having an instant click-to-call feature that allows for easy access adds a high level of convenience. Not to mention being able to track statistics within noCRM.io. With click-to-call in your prospecting list, you can make a constant stream of calls at a high speed rate. The ability to record calls will help you understand how top-level sales reps in the company handle calls, while providing an opportunity to bring low-performing employees up to scratch. 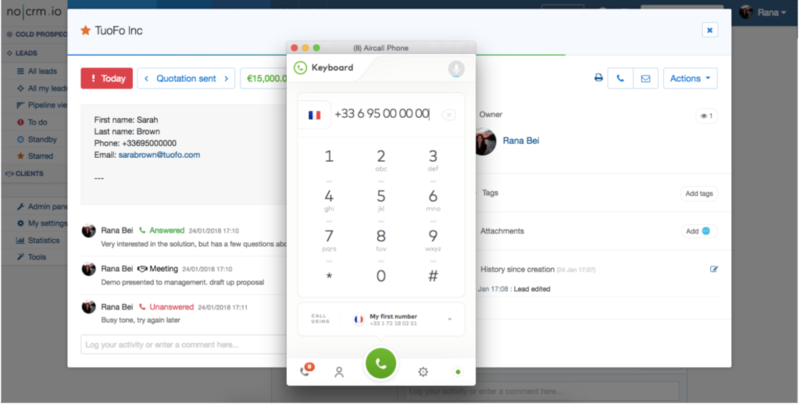 Aircall provides sales teams with the right tool to make every conversation with their leads count. With numbers in over 40 countries, a comprehensive dashboard and advanced analytics, you can place calls anywhere, grow your team, and track performances. With RingCentral, companies have a local and international presence with a variety of phone number options. Salespeople can optimize their business communications thanks to the unparalleled functionality and reliability of a cloud-based phone system. Set your outbound sales game up for success. Call leads from noCRM.io, with call details automatically logged including the number dialled, the duration and the audio recording of the conversation. If you’re not using Aircall or RingCentral, you can still set other telecommunications software as your default click-to-dial system to make calls from noCRM.io with outcomes logged. However, your call details will not be recorded. 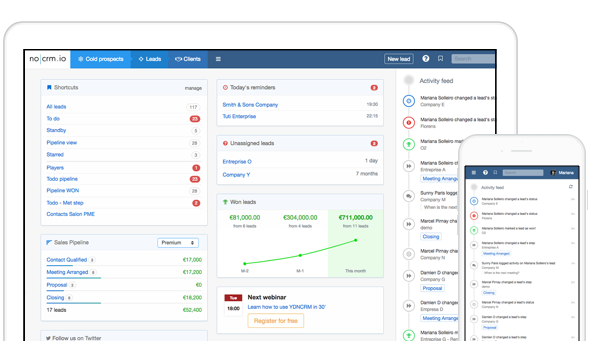 noCRM.io is built for salespeople to easily and efficiently manage their leads from end-to-end with a strong focus on the next action. These latest integrations – along with the activities feature – keep our promise of continuous product development that helps customers win more sales. Compact Mode With Resizable Columns and More! Extra! Extra! Read All About March!